Join Our 4th Annual Fall Conference! Explore the theme of growth with fellow founders, investors and partners. Enjoy farm-to-table food, wine tastings and activities. This is the culmination of the Founders Network experience. By far the most worthwhile business event I’ve ever been to. The connections and learning more than paid for itself. So much inspiration and a spectacular venue! I learned so much but most of all I felt part of a community. Explore the topic of growth, both as a founder and for your startup. world experience over the past years. After founding Hyperwallet in 2000, Lisa grew the global payments company over the course of 18 years, culminating in its $400M acquisition by PayPal last month. Now, Lisa is building FI.SPAN, another fintech startup that speaks to her passion for the social and economic imperatives that shape global payment technologies. Christina Sass is the Co-Founder and President of Andela or, as CNN has called it, “The startup that’s harder to get into than Harvard”. Andela has raised $81M and aims to train 100,00 software developers in Africa over the next 10 years. They are now backed by investors including Spark Capital, Google Ventures, Chan Zuckerberg Initiative, and more. Sean Plaice is Co-Founder of Postmates, which has raised $278M, has 65,000 active Postmates, and a presence in 44 major US metropolitan markets. Sean is a systems operations specialist with an emphasis on rapid growth environments, technology due diligence, cost management and efficiency. 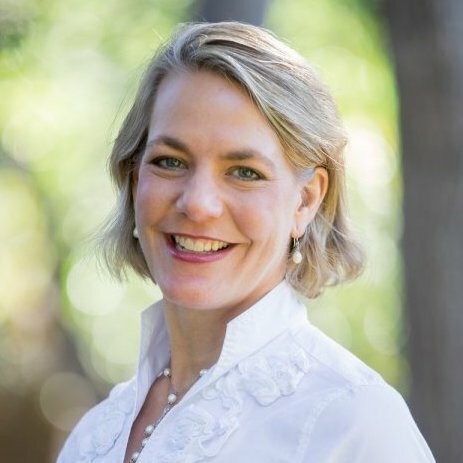 As CEO of Tides, social change accelerator/philanthropic partner of Google, Okta, Box, PagerDuty), and former Head of Stanford Center for Social Innovation, Kriss has more than 20 years of senior executive experience and valuable insight to share. She is recognized as a pioneer in the field of social innovation and has presented nationally and internationally the subject. Founder, Mentor, Community Advocate, and Champion of Developers. James is a founder of StackPath which has raised $180M to date and offers secure edge services including CDN, WAF, DNS and more. Previously, James served as Director of Managed Services at Ricoh. Neha Sampat is the CEO of Contentstack, and previous Founder and CEO of Digital Experience Platform Built.io, which was acquired by German software powerhouse Software AG in September 2018. Neha is a recognized industry leader, a proponent of diversity and an outspoken advocate for women in leadership. As co-founder and CEO of MapAnything, John has raised $40M+ from notable funds including Greycroft and Salesforce Ventures. He is highly focused on building a fantastic product that brings real business value to his customers, building a dynamic and innovative, and creating a corporate culture that attracts and retains the best employees to accomplish both goals. Investor, entrepreneur & marketplace guru with a focus on early stage investments in marketplace or SaaS companies. Josh joined Jackson Square Ventures in 2010, bringing operating experience as a founding team member of oDesk, a cofounder at Rev, and the head of product and marketing at Adroll. Scott has worked at the intersection of technology and finance starting with the Telecom Act of ’96, the TMT rise and fall, the open source revolution, and the beginning of the cloud era. Through it all, he has been an advisor, operator, investor, and equity analyst, and has particularly enjoyed building something new while working with smart, talented and passionate people. Passionate about building practical solutions that have a big impact on people’s lives. As an immigrant on visa and now VC, Nitin helps all entrepreneurs, whether born in the US or elsewhere, to start and grow companies in the US, the mecca of entrepreneurship. He is particularly interested in working with early stage startups on story-telling, pitching, fundraising, product strategy, and bringing in the first customers/sales. Advising world leading enterprise software investors and entrepreneurs, Lev focuses on SaaS, multi-channel commerce, payments, cloud and big data. He has a strong expertise in growth and partnerships for emerging startups with a focus on product strategy and monetization in enterprise and SaaS products. Raised $25M+ through Series B funding rounds, is partnered with Google, and has grown a Fortune 1000 customer base. Former Brocade and Applied Materials. Holds 6 patents. 20 years experience early stage high growth ventures. Named San Francisco’s Most Influential Women and Forever Influential Hall of Fame. Angel Gambino is a WIRED Top 100 executive who has built companies on three continents. As lawyer turned investor and founder, her career has included co-founding ventures as a Prehype partner, growing and exiting Sonico, senior roles at the BBC and MTV Networks, and leading the pioneering UK social network Bebo. As a serial entrepreneur, Matias previously built Ethidium Health Systems which was acquired by Portico, which was then acquired by McKesson for $90M. Serial Entrepreneur with enough failure, but just enough success, to still be doing it for 18 years improving from lessons learned. Previous to CandyBit Daniel founded Qode Media Inc. which was acquired in 2005. With 20 years of operational experience running a profitable fashion product business as the CEO of Adia Kibur Accessories, Nadia knows the ins and out of the fashion business and is well connected in the fashion world from manufacturers to retailers to designers to influencers. She understands her customers, women who love fashion! As the Founder of TGP in 2003, Tom has helped launched over 20 products ranging from start-ups with $50,000 MVP’s to Fortune 500’s with multi-million dollar investments. In 2017 Tom founded Blue Ocean Technology, to build out a new software development solution center that makes software development simple, transparent and frictionless. As a part of Morrison Foerster’s Startup ScaleUp division, John Rafferty focuses his practice on representing private and public companies in a broad range of corporate and securities law matters. This includes mergers, tender offers, going private transactions and strategic and financial investments. Founder and executive coach for 9+ years. Last company raised $10 million+ before successfully exiting. Works with founders and senior teams on culture and leadership. Mentor at 500 startups. Silicon Valley veteran Martin Longo was the Former CTO of Demandbase ($158M raised) and current founder of GetWell.ai. He has more than 30 years of experience in the software industry with a proven career of success in enterprise software environments with early and mid-stage software companies. Passionate about women in technology helping solve challenges in our world. Over twenty years broad experience in data-driven, multi-channel marketing strategies and customer behavioral analyses with the common thread throughout being first-class strategic development, CRM focus, team leadership, a strong goal orientation and an ability to develop, implement and measure the success of innovative solutions. Peter Imburg is the Founder of everyone’s favorite secret santa service. With over 7M registered members, Peter has scaled his company significantly over the past 14 years into a profitable revenue model with no outside funding. He is also a member of Vistage, a peer advisory group for CEOs for several years. Stephen Porter is an experienced freelance video producer and photographer based in San Francisco, CA. He create digital media for the web that’s search engine optimized so that you and your business are more likely to get found when people search the internet for keywords in your industry. Certified yogi, under Yoga Bharati, and practitioner for 10+ years, Latha looks forward to sharing her practice with the Founders Network members. fnSummit is made possible thanks to the generous support of our partners. Learn more about our partner program here. Interested in supporting FN’s 600+ tech founders? Contact us.